Another weekend is over! I can't believe how slow the weekends seem to take to get here and then they go by so quickly! 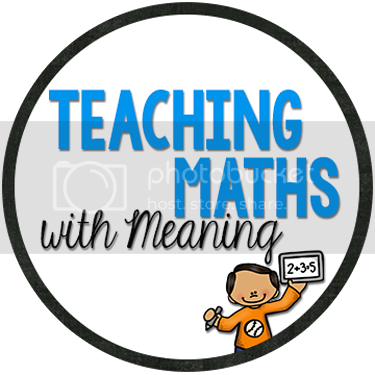 As usual, the house is clean, the ironing is done, the laundry is done, the schoolwork was left to the last minute is done - but alas no more booklets to upload to TpT yet - so sad...... :( Why do I leave the fun stuff for last!!!!! I even went to my first spin class today don't talk to me about climbing up stairs right now. I have a few half finished booklets - I just need a 3 day weekend already just to finish them off! 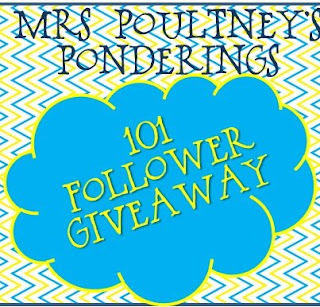 Another great Aussie blogger is having a fabulous giveaway, so head on over to Mrs Poultney's Ponderings and enter! Edit - P.S. I am throwing a 20% sale until Tuesday on my TpT - so if you want some great little treasures head on over! Thanks for the shout out Alison and for contributing to my Giveaway! Haha! I don't mind ironing - especially when basically it is only my clothes! Have a great week Tania!